Bryce Canyon National Park spans 56 square miles in southern Utah and is best known for its unique broken-arch rock spire formations, known as hoodoos. Whether you’re looking for a true backcountry adventure or traveling with family, a wide variety of hotels in the park vicinity offer western charm and hospitality with top modern amenities. Best Western Plus Bryce Canyon Grand Hotel is located along Scenic Byway 12 and offers affordable luxury accommodations from a trusted international hotel brand. Two four-story hotel towers offer 164 guest rooms, including double queen, king, and deluxe suites. Room amenities include flat-panel cable televisions, coffee makers, hair dryers, and free wireless internet, data ports, and voicemail services. A complimentary breakfast buffet is served daily for guests, and a fitness center features state-of-the-art exercise equipment. Other hotel amenities include a business and computer center, a conference center, and 24-hour guest laundry facilities. The hotel’s pool is only open during the summer months, but during the winter months, guests may use the hotel’s sister Ruby’s Inn property’s pool, accessible via a free shuttle service. 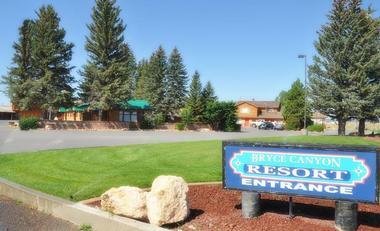 A shuttle service to Bryce Canyon National park also embarks from Ruby’s Inn. 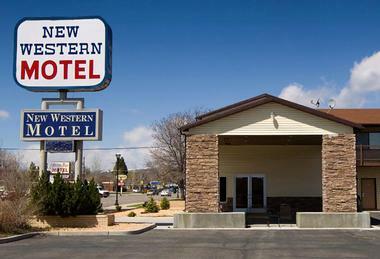 Best Western Plus Ruby’s Inn is the sister property of Best Western Plus Bryce Canyon Grand Hotel, located adjacent to the western town shops and attractions of Old Bryce Town. 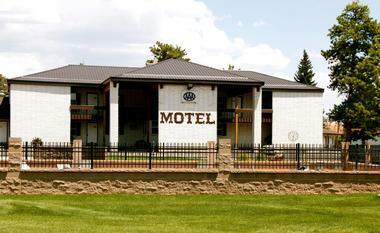 The hotel was opened in 1916 by rancher Reuben C. Syrett and originally offered tent houses and a common meal facility. 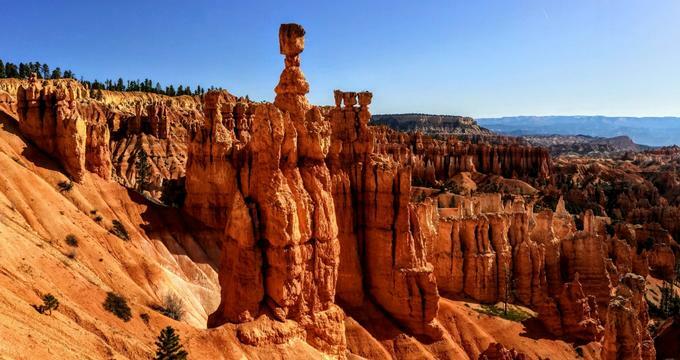 Today, the hotel is managed by Best Western and is the closest hotel to Bryce Canyon National Park, offering modern visitor amenities such as king, queen, and family suite rooms. Room amenities include cable televisions, coffee makers, hair dryers, and free wireless internet, data ports, and voicemail services. Three full-service restaurants are offered at the hotel, including the Cowboy’s Buffet and Steak Room, the Canyon Diner, and Ebenezer’s Barn and Grill. Other hotel facilities include a fitness center, business center, indoor pool and hot tub, and Ruby’s General Store, which offers groceries, gifts, and souvenirs. Shuttle service to Bryce Canyon National Park is available, along with mountain bike rentals, guided ATV tours, helicopter tours, and horseback riding excursions. Bryce Canyon Inn offers clean and comfortable accommodations within individual guest cabins, including queen and king bed cabins and full family suites sleeping up to 10 guests. Cabins feature rustic log furniture and design and offer amenities such as refrigerators, microwaves, cable televisions, and free wireless internet. The newly-remodeled Lower 40 Cottage is also available, featuring a full kitchen, patio, and barbecue grill. All cabins offer spectacular views of the sights of Bryce Canyon National Park, including Escalante Grand Staircase National Monument, Powell Point, and the park’s unique hoodoo spire formations. A Pizza Place restaurant is located adjacent to the cabins, serving hand-tossed pizzas prepared to order along with burgers, sandwiches, beer, and wine. The Bryce Canyon Coffee Company also offers a full espresso bar menu along with baked goods and breakfast fare. Private horse and mule excursions are available from Mecham Outfitters, and a horse motel and dry camping spots are offered for visitors looking for a more primitive experience. 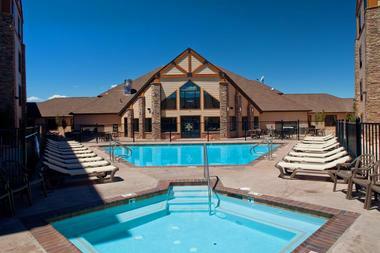 Bryce Canyon Resort is located two miles from the entrance of Bryce Canyon National Park and offers full-service amenities in a rustic environment away from the region’s tourist attractions. 71 guest rooms are available, offering flat screen cable televisions, free wireless internet, and kitchen and bathroom electronics upon request. 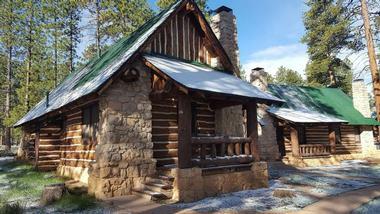 Rustic cabins are also available, sleeping up to six people and offering full kitchenettes. Two restaurants are offered on site, including the award-winning Cowboy Ranch, which serves a full breakfast buffet and Mexican-American dinner fare. Other visitor amenities include a guest lounge, an airport shuttle, and a heated outdoor pool available during the summer months. Bryce Country Cabins are located on a 20-acre farm facility approximately seven miles from Bryce Canyon National Park within the town of Tropic, Utah. The cabins are family friendly and offer a children’s play area, family sporting and game equipment, and a farm animal petting area. Several types of log cabins are offered for rental, including individual and deluxe cabins, historic pioneer cottage cabins, and a Vacation Villa and Raindance Retreat with garages and additional rooms for housing larger visitor groups. Cabin amenities include spacious private bathrooms, full kitchenettes, cable televisions, and free wireless internet. Private porches, charcoal barbecue grills, and Adirondack chairs are offered outside each cabin for outdoor relaxation. Bryce Pioneer Village is located on a 13-acre landscaped property in Tropic, Utah and offers spectacular views of nearby Bryce and Powell Points. All cabins were constructed by architect Gilbert Stanley Underwood, best known for his design of Yosemite’s Awahnee Hotel, and were built for the Union Pacific Railroad in 1927. Double and queen bed cabins available between April and October accommodate up to six people and offer modern amenities, including flat screen televisions, indoor plumbing, and free wireless internet. RV and campground sites are also available, offering shower and restroom facilities. Onsite amenities include a handicap-accessible heated pool, an outdoor fire pit, and the Showdowns restaurant, which offers western fare and live entertainment. 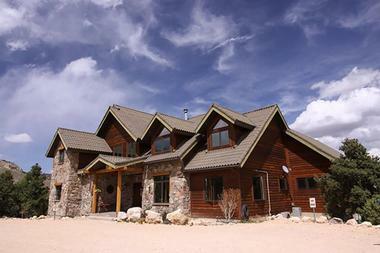 Bryce View Lodge is located along Highway U-63 at the edge of pine forest, overlooking Bryce Canyon National Park atop a high plateau. Non-smoking double queen and single king guest rooms are available, offering amenities such as coffee makers, cable televisions, and free wireless internet. Guest services include a free airport and national park shuttle, a business center, a spa, and an indoor heated pool with a whirlpool. All guests also receive access to the facilities of the adjacent Best Western Plus Ruby’s Inn, which offers three full-service restaurants, a fitness center, and a general store selling groceries and souvenirs. Guided tours of the national park area are offered, including ATV tours and scenic horseback rides. Bryce Zion Inn is located along US Highway 89 between Bryce and Zion National Parks, offering convenient access to six popular national parks and monuments within the southern Utah region. The hotel is located within the foothills of the Puansaugunt Mountains and offers newly-remodeled rooms with modern amenities such as satellite television, mini fridges, and free wireless internet. All children under 17 stay at the hotel free, and deal packages are available for extended and group stay. Onsite amenities include a business center with printer, copier, and fax machine access and an outdoor picnic area with charcoal grills available for visitor use. Bybee’s Steppingstone Motel is located in Tropic, Utah and offers unique personally-decorated rooms within a family-owned motel facility. The motel is located along Utah’s Scenic Highway 12 just minutes from Bryce Canyon National Park and Grand Staircase Escalante National Monument. 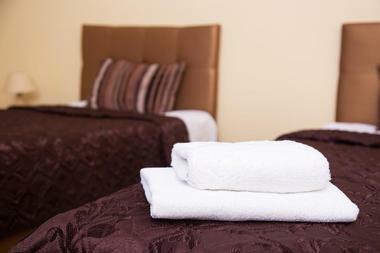 Seven visitor rooms are available, including four king terrace rooms and three queen roadside rooms. 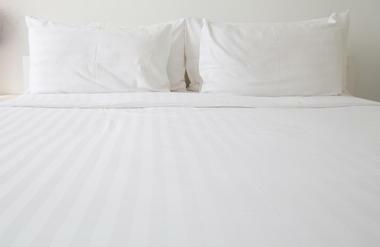 Room amenities include flat screen satellite television, free wireless internet, and daily housekeeping services. Complimentary oatmeal and granola bars are provided in each room every morning for breakfast, and a coffee shop is offered on site. Other onsite amenities include a public garden area for visitor relaxation. Guided ATV tours, hiking trips, and horseback riding excursions are also available. Foster’s Bryce Canyon Motel offers high-quality accommodations in a family-friendly environment located adjacent to Bryce Canyon National Park and Red Canyon State Park. A variety of non-smoking visitor rooms are offered, featuring queen and double beds and amenities such as refrigerators and microwaves. The onsite Bryce Canyon Restaurant and Steakhouse offers elegant American breakfast, lunch, and dinner in a friendly setting overlooking the scenery of the national park, serving dishes such as steak, prime rib, and seafood. The full-service Foster’s Supermarket is also located on site, selling groceries, camping and fishing gear, and cold beer and wine. Foster’s Bakery also sells to-go pastries, doughnuts, German breads, coffee shop items, and deli sandwiches. Grand Staircase Inn is located off Highway 12, approximately 15 minutes from the entrance to Bryce Canyon National Park. 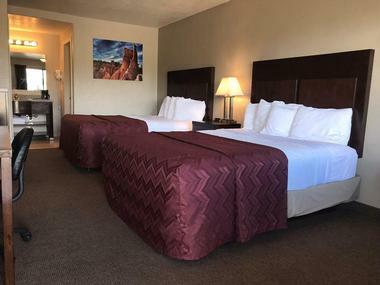 The hotel also offers convenient access to Kodachrome State Park and is located adjacent to the Grand Escalante National Monument visitor center. Double queen, king, and double king beds are available in spacious rooms offering vaulted ceilings, marble vanities, and in-room refrigerators. Two handicap-accessible rooms are available, offering roll-in showers, along with two premium Jacuzzi suites for visitors looking for private romantic accommodations. The smoke-free hotel also offers a fully-stocked country store and full food court facility for dining options away from nearby tourist areas. Mountain Ridge Cabins and Lodging offers easy access to nearby Zion National Park in Hatch, Utah and is a great choice for couples and families looking for private, comfortable getaways. The 24-room property offers standard guest rooms, miniature suites, and king bed suites with amenities such as 40-inch high-definition televisions, premium bedding, and coffee makers. 16 premium king and double queen cabins are also offered, featuring rustic decor and modern amenities such as kitchenettes, DirecTV, and outdoor covered decks with chairs and private lawn access. 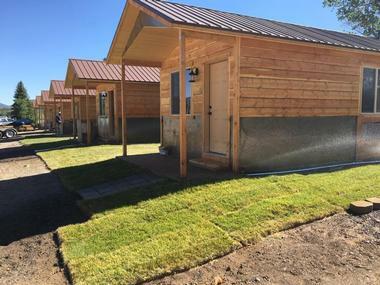 An ADA-accessible cabin is available for visitors with disabilities. Several ATV trails embark from the property, and fly fishing opportunities are provided at the nearby Sevier River. New Western Motel is a former Best Western hotel that has recently been converted into a privately-owned hotel facility offering family-friendly budget accommodations. The hotel is located off of Highway 12 in Panguitch, Utah and provides easy access to nearby Bryce Canyon National Park, Capitol Reef National Park, and Grand Staircase Escalante National Monument. Double queen and king standard rooms are offered, along with suites offering a sitting area, two vanities, and a large bath area. 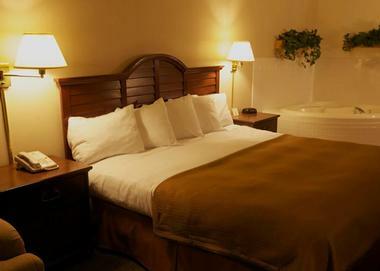 All visitor rooms offer 25-inch premium cable televisions, coffee makers, hair dryers, and free wireless internet. Onsite amenities include a swimming pool and spa facilities. 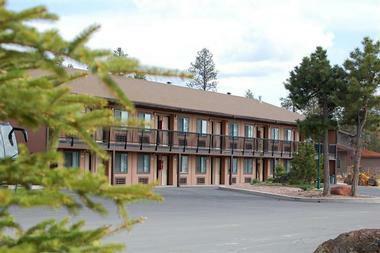 Quality Inn Bryce Canyon offers mid-priced visitor accommodations from a trusted international hotel brand. The hotel is located in Panguitch, Utah along Scenic Byway 12 and offers convenient access to Red Canyon State Park, Panguitch Municipal Airport, and tourist activities such as Ruby’s Horseback Adventures. 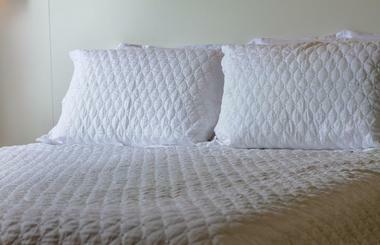 Guest rooms and suites feature premium bedding, cable televisions, and free wireless internet. Complimentary breakfast is served daily, and an onsite Western House Restaurant is available between March and October. Other visitor amenities include guest laundry facilities, accessibility features, and guest use of copy and fax services. 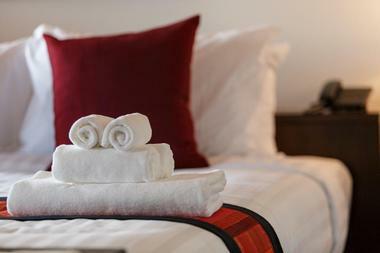 Select hotel stays are eligible for reward redemption through the Choice Privileges program. Red Ledges Inn is a family-owned and operated hotel located along Scenic Byway 12, offering easy visitor access to all of the Bryce Valley’s national and state parks, including Calf Creek Falls and Kodachrome State Park. Four types of visitor rooms are offered, including standard king and queen rooms, deluxe double queen rooms, and an executive suite. Room amenities include flat screen televisions with DirecTV service, mini fridges, coffee makers, and free wireless internet. Light continental breakfast is served daily between April and October, and all visitors receive discounts at the nearby Rustler’s Restaurant. A game room, exercise room, and outdoor patios are also available for visitor use. Stone Canyon Inn is located in Tropic, Utah and offers dramatic views of nearby Powell Point, Bristlecone Ridge, and Fairyland Amphitheater from all of its visitor rooms, cabins, and bungalows. 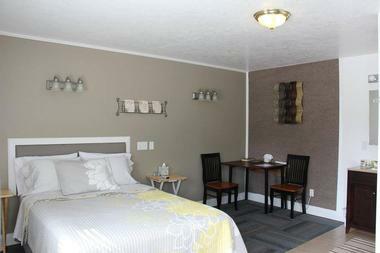 Deluxe king suites are offered with partial kitchens, televisions, private patios, and free wireless internet. Private cabins and bungalows sleeping up to six are also offered, featuring two bedrooms, two bathrooms, a full kitchen and living room, and a private deck overlooking the national park. Cabins also feature private hot tubs, and a public sauna facility is available for visitor use. Arrangements may be made for guided visitor tours of the surrounding park areas, including horseback riding excursions. The Lodge at Bryce Canyon is Bryce Canyon National Park’s official visitor lodge, constructed in 1925 by architect Gilbert Stanley Underwood. It is the only remaining original lodge constructed for the national parks of southern Utah and reflects the period-typical National Park Service Rustic architectural style. The two-story lodge offers guest rooms with double queen and king beds, along with guest suites and studios offering sitting rooms, refrigerators, and rollaway beds. Western cabins are also available, featuring gas-log fireplaces, connecting doors, and private porch areas. In keeping with the spirit of the national park’s rustic atmosphere, no televisions are offered in rooms and sustainable features are incorporated into the hotel’s operation and design. Three onsite dining options are available, including the Lodge at Bryce Canyon Restaurant, Valhalla Pizzeria and Coffee Shop, and a General Store selling to-go sandwiches and meals. 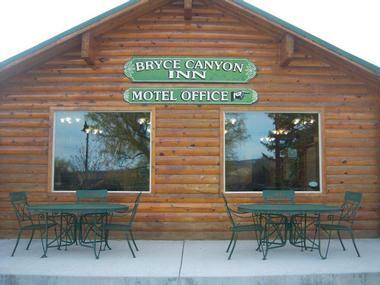 Bryce Canyon Motel is the perfect spot for visitors traveling with children, offering affordable rooms in a clean and spacious environment. 13 non-smoking guest rooms and suites are offered, including family rooms and rooms with private kitchenettes for extended stays. All rooms offer a television, heat and air conditioning, and free wireless internet access, with most rooms offering microwaves and refrigerators. Children’s activities are offered at the hotel’s pool, and a picnic area with outdoor furniture, a barbecue grill, and a fire pit allows for family relaxation after a long day exploring the nearby national park. Other hotel amenities include a guest access laundry room with washer and dryer services and complimentary homemade scones at check-out. Bryce Canyon Pines Motel is located less than five minutes away from Bryce Canyon National Park within a Ponderosa pine forest, offering secluded guest rooms, cottages, and campground accommodations for visitors looking for a peaceful stay. The hotel has been in business for over 50 years and offers a variety of visitor services and amenities, including an outdoor swimming pool, hot tub, and onsite grocery store and gas station. Standard and deluxe rooms and suites are available, offering Serta mattresses, five-star linens, and amenities such as refrigerators, microwaves, Jacuzzis, and fireplaces. A private cottage is also available, featuring a feather bed and sunrise views. The hotel’s onsite homestyle restaurant has been ranked as the visitor favorite restaurant within the region, offering western dishes such as cowboy steaks and homemade fruit pie. Campsites and RV hookups are also available, along with guided horseback tours offered through Red Canyon Trail Rides.